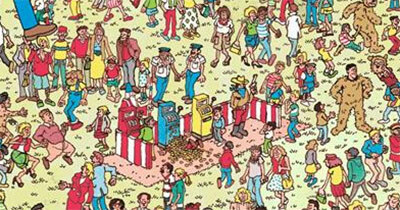 Pokies campaigners up in arms over Where’s Wally? Posted on January 31, 2019 at 8:40 am. Reformed pokies addict Shonica Guy has expressed her utmost dismay on seeing poker machines in the children’s picture book, Where’s Wally? She felt scandalised after her six-year-old son saw three gaming machines in the book. “We were driving home from the book store, and he says, ‘look, Mum, the pokies.’ I thought, surely not and then when I took a closer look, there they were,” said Guy, who lives in Campbelltown, South Australia. SA Best MLC and gambling spokeswoman Connie Bonaros said she was “appalled” that such a book could be made available to young readers. “My concern is about the conditioning of children and normalizing the behavior,” she added. Ms Guy and Ms Bonaros wrote to the book’s publishers in a bid to have the images removed from later editions. Walker Books Australia and New Zealand president Angela Van Den Belt received the request and sent a reply. “Thank you for bringing this to our attention,” she wrote.